Provide comfort for the family of Jeffrey Bottrell with a meaningful gesture of sympathy. 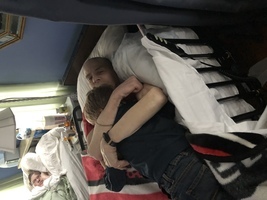 Jeffrey Allen Bottrell, Age 61 of Manistee died Tuesday morning March 26, 2019 surrounded by his family following a 20 year battle with MS. He was born on May 5, 1957 in Manistee the son of the late Howard S. & Betty Jane (Johnson) Bottrell. He was a 1975 graduate of Manistee High School. On March 20, 2004 he married Karen (Peterson) Solis in Ludington. Jeff was employed in oil field maintenance by Team Services. He was a member of Saint Mary’s of Mount Carmel Shrine. 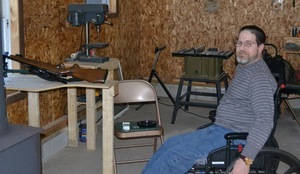 An outdoorsman, he loved to cut wood, hunt for morel mushrooms, camp, hunt, & fish. He loved Detroit Red Wing Hockey and especially loved his time with his grandchildren. 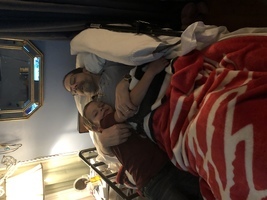 He is survived by his wife Karen Bottrell of Manistee, his children; Heather (Tom) Bajtka, Michael (Crystal) Bottrell, Sarah (Roger) Ross, Andrea Bottrell, & Marisa Solis all of Manistee and Elisa (Jake) Wiley of Bend, OR, 10 grandchildren, 3 great grandchildren, two sisters; Terry (Greg) Beattie and Susan (Ron) Budnik, numerous nieces, nephews, cousins, & the mother of his children; Gaye (Martin) Guillen. No services are planned. Memorials in Jeff’s name may be directed to Munson Hospice. Please visit Jeff’s personal page of memories at www.oakgrovefh.com to share a story or photo. Arrangements by the Oak Grove Funeral Home & Cremation Center in Manistee. To send flowers in memory of Jeffrey Allen Bottrell, please visit our Heartfelt Sympathies Store. Provide comfort for the family of Jeffrey Allen Bottrell by sending flowers.